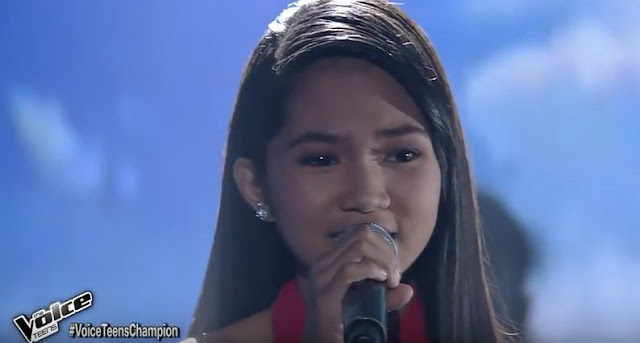 Jona Soquite of Team Sarah wins first in "The Voice Teens" Philippines on Sunday, July 30, 2017. Jona swept the three other contestants who are Isabela Vinzon, Mica Becerro, and Jeremy Glinoga having a 44.78 votes. The votes are based on text and online. Isabela got 22.42%, Mica got 17.79%, while Jeremy got 15.01%. For those you missed her performance, watch the video below. On behalf of NewsTrendzph, congratulations Jona. You deserve it!